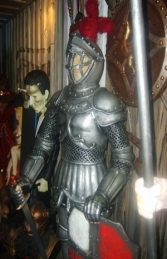 Our replica Spanish Knight statue is a superb alternative to a suit of armour to add to a medieval theme. He is fantastic to use in a historical setting as he is very well detailed with his helmet, sword, long sword and detailed body armour. 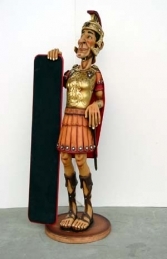 This statue makes a striking centre piece for any Historical or Medieval display.